We have 2 cozy cottages on Beautiful Lake Nosbonsing just 15 minutes south of North Bay. Set back 20 feet from waters edge with 30 foot docks, 8 x 24 foot decks, fire pit and sandy volley ball area. Recently renovated, affordable for the average family who enjoys lakeside activities and most of all exceptionally clean. Our 2 bedroom cottage can sleep 8 comfortably. It has a double bed bottom with a single on top in each bedroom, and also has a high end futon in the living room. Cottages are equipped with newly renovated Kitchen, heat, stove, refrigerator, microwave, large propane barbecue, patio table and chairs. Indoor washroom and shower. Outdoor shower for the adventurer. Cooking utensils include kettle, toaster, Keurig coffee maker, pots, pans, dishes and cutlery. Pillows, blankets and linens will be provided unless you want to bring your own. Please bring your own towels and personal items. Canoe and Paddle boat are shared between the 2 cottages. Fishing Boat packages available - inquire for pricing. Campfires cannot be lit until after 6 pm . We have firewood for sale if needed since it is illegal to transport wood from some parts of Ontario. The fishing on Lake Nosbonsing is excellent. Walleye is the most sought after fish, but also in the lake are Bass, Muskie, Pike, Sun Fish, Perch, Ling (a freshwater cod). Across the road from a convenience store, countrystyle coffee shop, local restaurant and gas station. Just 5 minutes to Astorville and grocery/liquor/beer store. 20 minutes to the city of North Bay and shopping, movie theatres, entertainment and more. A short walk to the public beach. Golf courses, nature walks, country crafts, archery range are also close by. $800.00 per week Saturday to Saturday or Monday to Thursday $160.00/night (2 night min.) or Friday to Sunday $175.00/night (2 night min.). Discounted pricing is available from May 7 to June 23rd and for the month of September after September 1. June 23rd to September 1st is our high season rentals and pricing is firm. 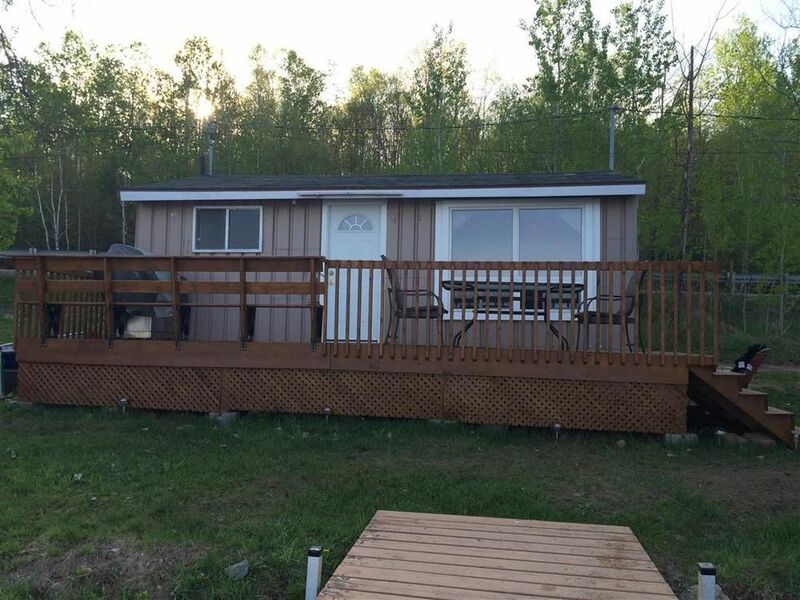 Inquire about our off season short term rentals from September to May and our winter sledding and ice fishing packages with our cottages being located beside the federated trail system.